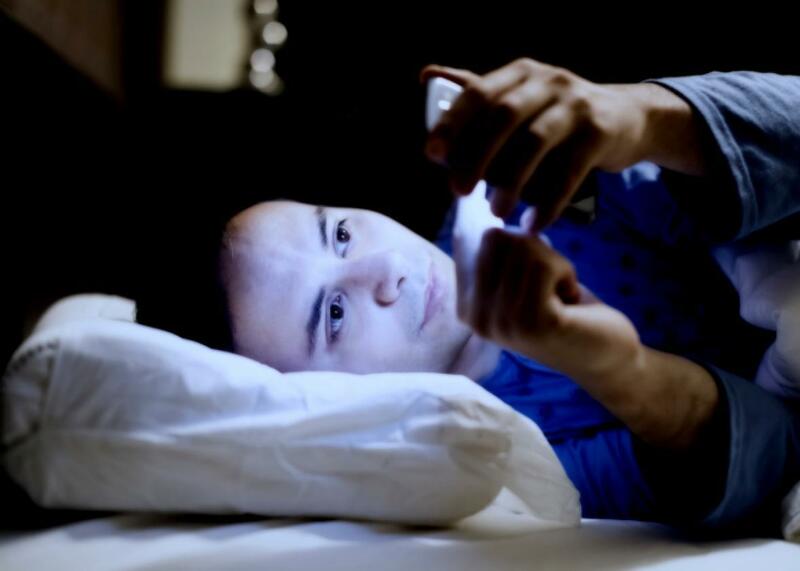 Night Shift, a new feature in Apple’s iOS 9 designed to help users sleep better. Down with blue light at night! Beady-eyed late-night iPhone users are in for a treat. Apple announced Monday that the new version of iOS 9 would include “Night Shift,” a feature designed to limit users’ exposure to bright blue light in the evening. There’s evidence that that kind of light can increase the time it takes to fall asleep and even interfere with sleep quality. As the sun sets, iOS users will see the blues drain out of their screens, leaving behind a warm orange glow. I’ve used f.lux for a while, and I like it. Sure, it might be good for your health, but that’s not all. It also makes your computer look like it is filling up with blood. Nearby friends and coworkers will be distressed, but you can say, “Oh, that? That’s f.lux, with a period after the f. I use it because I am conscientious about my circadian rhythms. Did you know that blue light … ?” (and so on). With the introduction of “Night Shift,” weird orange screens are now mainstream. Every night, everywhere, iPhones and iPads will blush in synchrony as darkness sweeps over the globe. We will be in the presence of a new technological species, with its own perfect rhythms, and we will all sleep better.